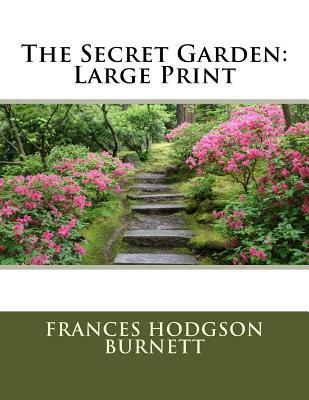 The Secret Garden By Frances Hodgson Burnett Excerpt te Manor, she looked so stony and stubbornly uninterested that they did not know what to think about her. They tried to be kind to her, but she only turned her face away when Mrs. Crawford attempted to kiss her, and held herself stiffly when Mr. Crawford patted her shoulder. "She is such a plain child," Mrs. Crawford said pityingly, afterward. "And her mother was such a pretty creature. She had a very pretty manner, too, and Mary has the most unattractive ways I ever saw in a child. The children call her 'Mistress Mary Quite Contrary, ' and though it's naughty of them, one can't help understanding it." We are delighted to publish this classic book as part of our extensive Classic Library collection. Many of the books in our collection have been out of print for decades, and therefore have not been accessible to the general public. The aim of our publishing program is to facilitate rapid access to this vast reservoir of literature, and our view is that this is a significant literary work, which deserves to be brought back into print after many decades. The contents of the vast majority of titles in the Classic Library have been scanned from the original works. To ensure a high quality product, each title has been meticulously hand curated by our staff. Our philosophy has been guided by a desire to provide the reader with a book that is as close as possible to ownership of the original work. We hope that you will enjoy this wonderful classic work, and that for you it becomes an enriching experience.